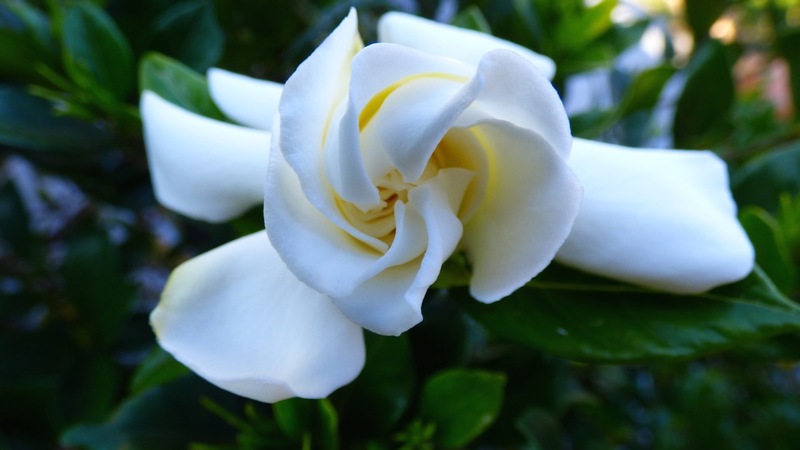 I think this is a Gardenia. Is that as much as it opens? Is there really a star in there? No, it opens fully to a beautiful flower, and yes, look closer, there’s a little star inside.